A program created for any boy who loves to move, this program provides an introduction to dance in a safe and supportive environment. Classes are characterized by fun, energetic, and athletic movement. 15 years ago, Arts Umbrella began to offer Boys Only classes in an effort to minimize the initial stigma young boys feel might when they join a dance class and to show that small group of boys that they are not alone. By sparking their love of dance, many boys will continue on to the gender mixed classes with confidence. As a result, we have seen our older classes move away from completely female enrollment to the equal benefit of our female dancers. We have a vision for the future of dance and our society, where stigmas are eliminated for all genders, thereby unleashing the creative energy of all young dancers to pursue their love of dance. 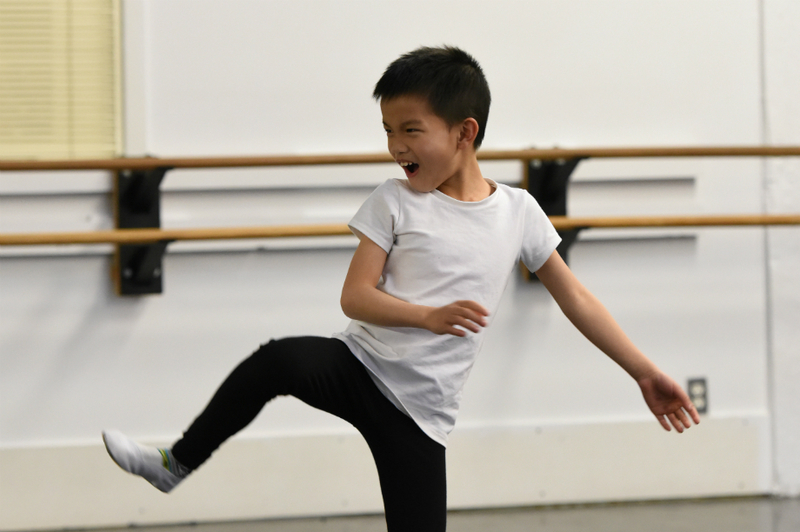 Read about the Boys Only Program experience from a dancer’s parent on the AUDC Parent Blog. Open to young boys of all experience levels, placement is determined by academic grade. For example, Boys Only 2 dancers are in Grade 2 and do not need to have completed Boys Only 1. Students may join the gender-mixed General Program levels at any time, where they will continue to learn movement principles in Ballet, Character, Jazz, and Contemporary. Boys Only was so much fun. I think it’s a great way for young boys to discover and explore movement. 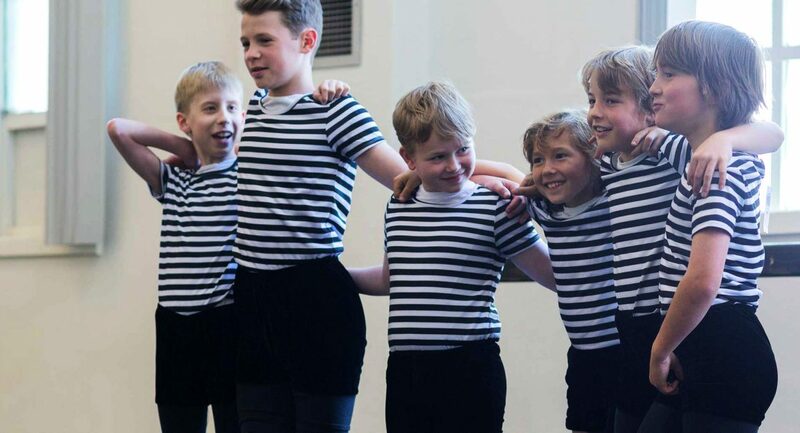 Shorts, shirts and socks are included in tuition fees and additional items can be ordered by emailing Siân Morris, Costume Coordinator, Dance.